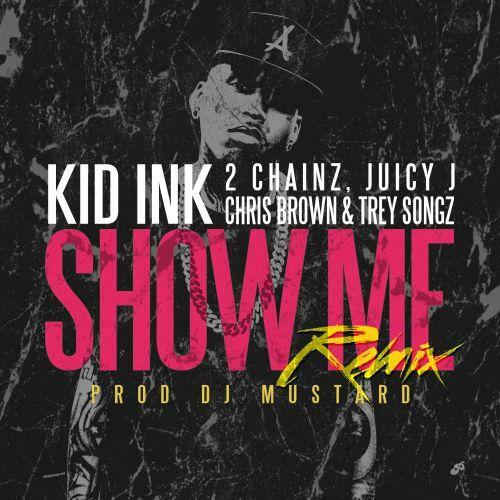 HNHH premieres Kid Ink's "Show Me" remix, featuring Juicy J, 2 Chainz, Trey Songz and Chris Brown. Kid Ink's "Show Me" has been killing the clubs for months, and now it finally gets the all-star remix treatment it deserves. Juicy J, 2 Chainz and Trey Songz join Kid Ink and Chris Brown on the DJ Mustard-produced affair. As every rapper should, Ink provides a new verse for the remix, bragging about the West Coast being "back like '94" and likening himself to the "old Chris Tucker". The original version of the track appears on Kid Ink's My Own Lane, which also features the buzzing track, "Main Chick", coming courtesy of the same hit-making team of Kid Ink, Chris Brown, and DJ Mustard. So the question is... who's got the best verse on this one?